Spectators on University quay look parade of the navy ships on the Neva. Before the beginning the Palace bridge that an exception for Day of the Navy has been dissolved. 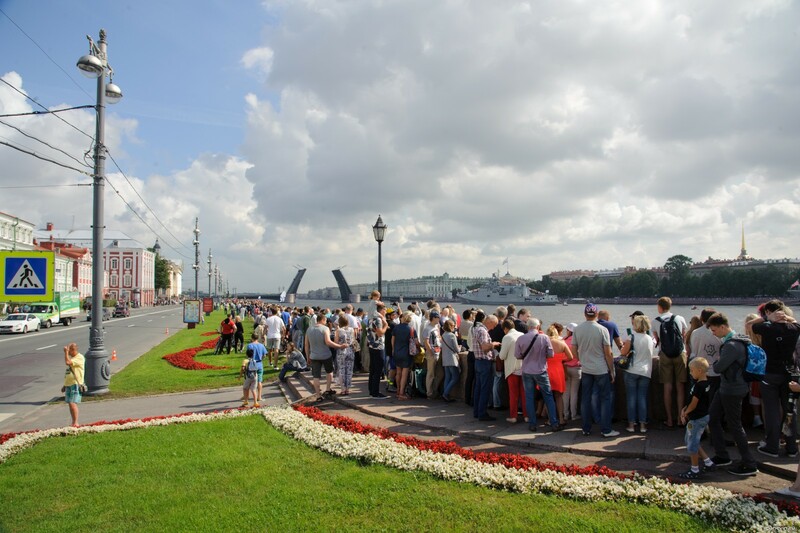 Blog, posts fleet, holidays, Navy Day, Neva, ships, St.-Petersburg.